Taking photos around the world is a huge reason why I enjoy traveling. In fact, I’d venture to say that it’s largely why I travel— for the chance to capture unique experiences and challenge myself to tell the story to those back at home. While I am no professional, I am constantly learning and (hopefully) improving, and more importantly, I just love it. 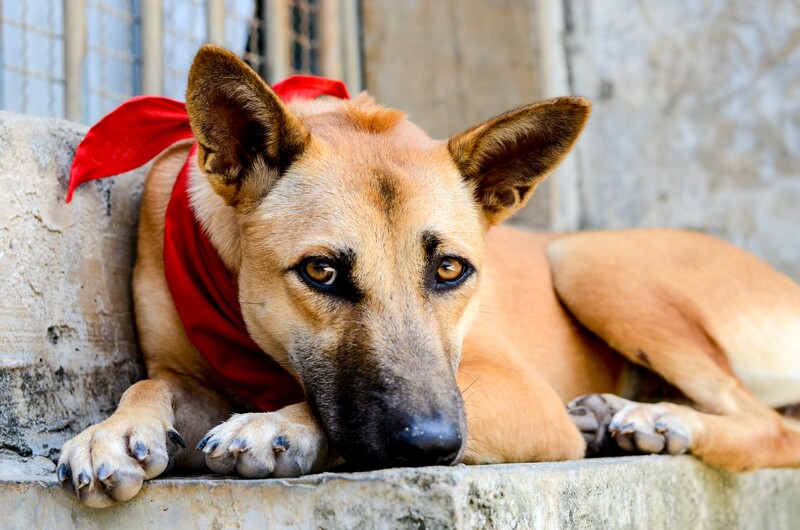 Of course, if I had to choose between being allowed to pet street dogs or being allowed to take photographs, I would have a hell of a time deciding which was more important. Thankfully, I get to do both to my heart’s content. From here on out I’ll be posting my favorite photo (or photos) each week. I will continue to upload batches of shots to the PHOTOS section above, but want to share my absolute favorites with you here. 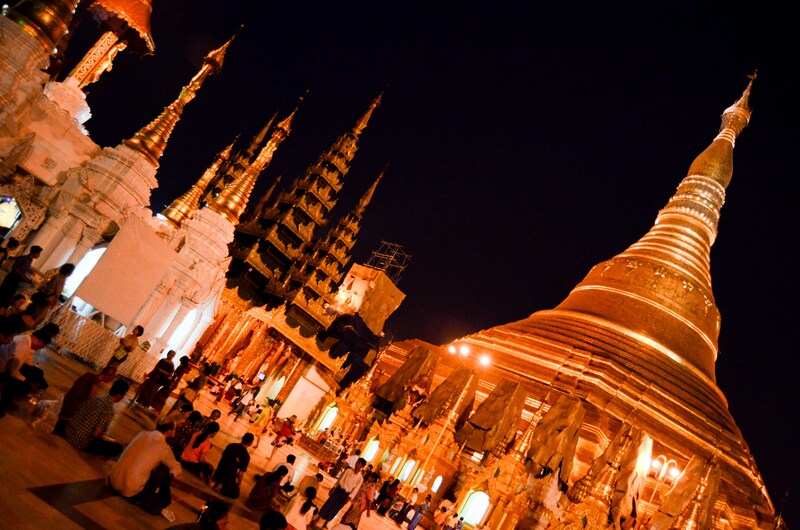 In an effort to catch up a bit, here is one shot from each of the 13 weeks that I have been in South East Asia thus far. 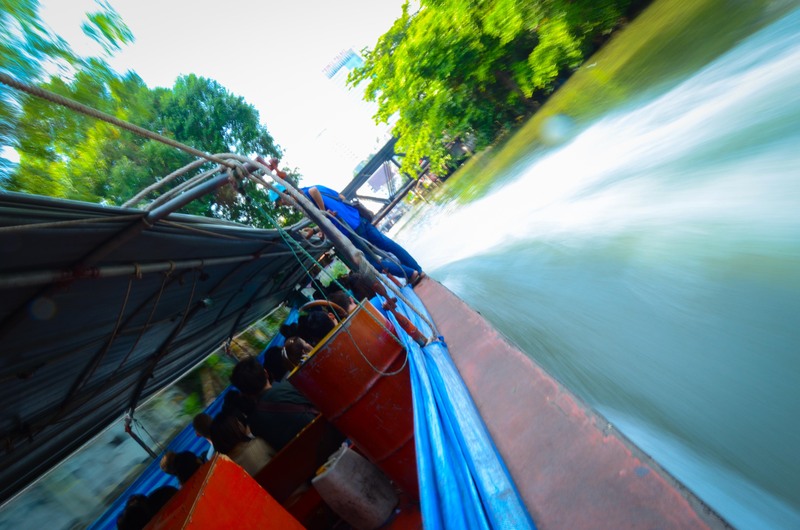 Koh Phi Phi is home to a legendary backpacker party scene, and we experienced it ourselves. 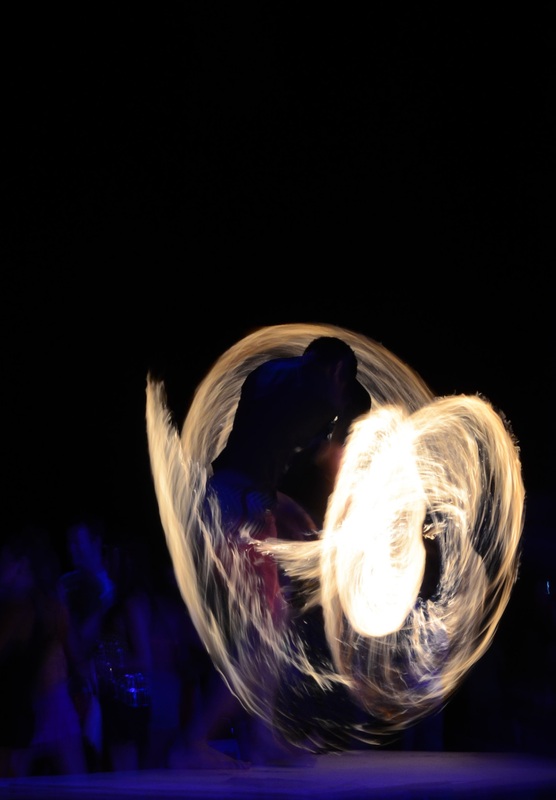 Of course, a beach party wouldn’t be complete without a fire show. A slow shutter speed captured the grace of the otherwise chaotic scene. There she is… my dog! 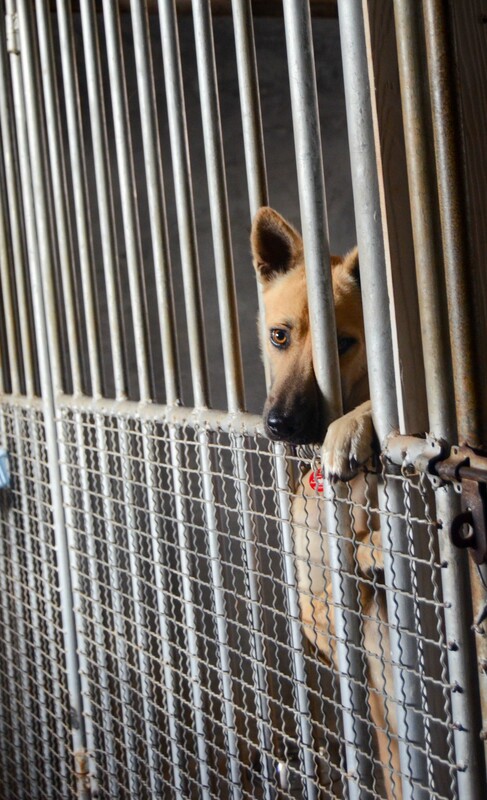 It took just four days of volunteering at Lanta Animal Welfare to know that “Princess” and I were the perfect match. Mild mannered, sweet, and eager to please in addition to being just beautiful. I think I’m the lucky one in this scenario. The dogs of LAW each have distinct, sometimes strong, personalities. This was Rocket’s go-to move at mealtime. Who could resist that face?! 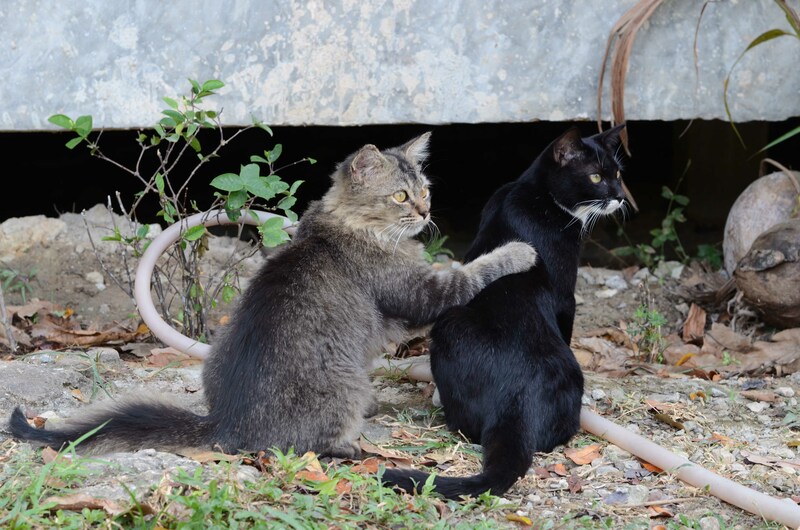 The cats at LAW are more laid back, relaxed, and friendly than any cats that I’ve met before. All 20+ that live together manage to get along, with some obvious friendships (such as Goblin and Luna) shining through. While I obviously didn’t take this photo (shout out to “Jenny the vet”), it will forever be one of my favorites. The sunsets from the beach near LAW were simply magnificent. Add a large Chang beer and you’re all set. Many religious sites around the world are touted as the “most beautiful,” but Yangon’s Shwedagon Pagoda wins all in my book. 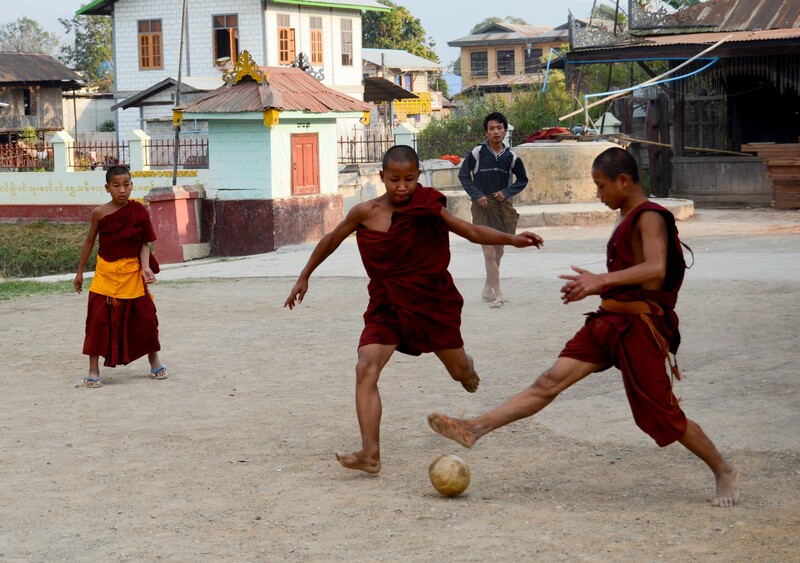 Young monks play soccer outside of the monastery during a break from study. Flamboyant goal celebrations are universal. Tigers and elephants in the same week? YES. Matt and I spent a morning at the Baan Chang Elephant Project, home to many previously mistreated elephants from around Thailand. 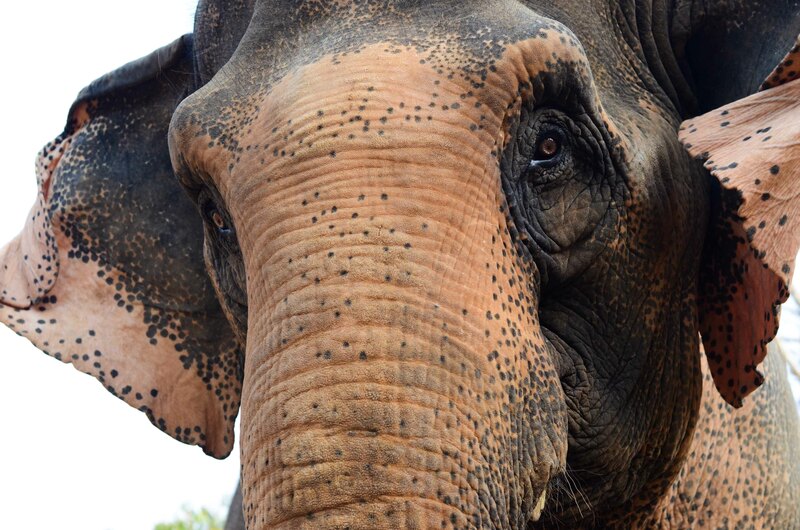 The gentle giants were amazing playmates and it was an incredible experience to get to interact with them so closely. 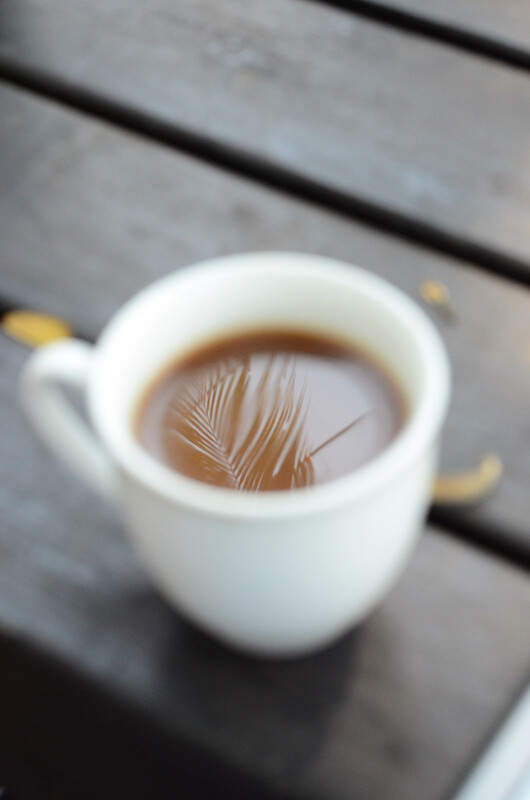 A palm tree reflects in my morning coffee in Luang Prabang. The town is gorgeous, quiet, and peaceful– a perfect combination for reflection and relaxation. 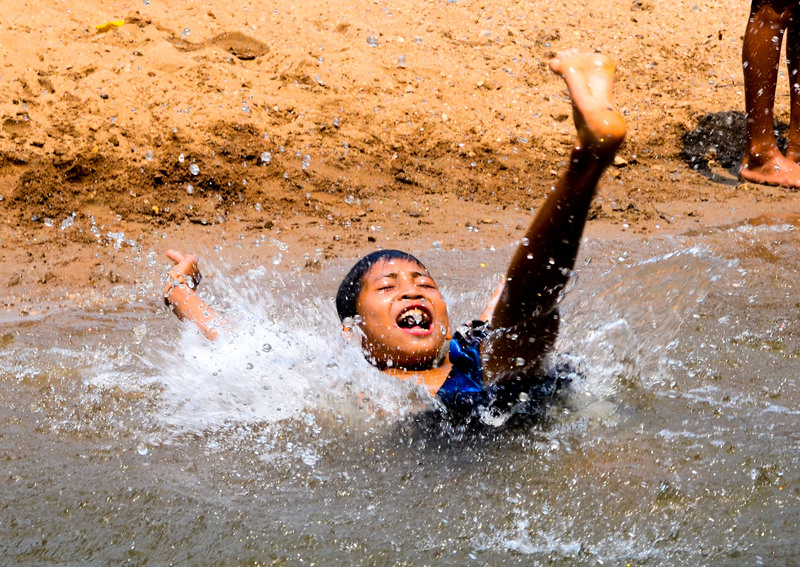 After emerging from the Kong Lo Cave, we came upon a group of village children who were cooling off in the river. They all waved “hello” and then went back to dunking one another. Kids are kids. 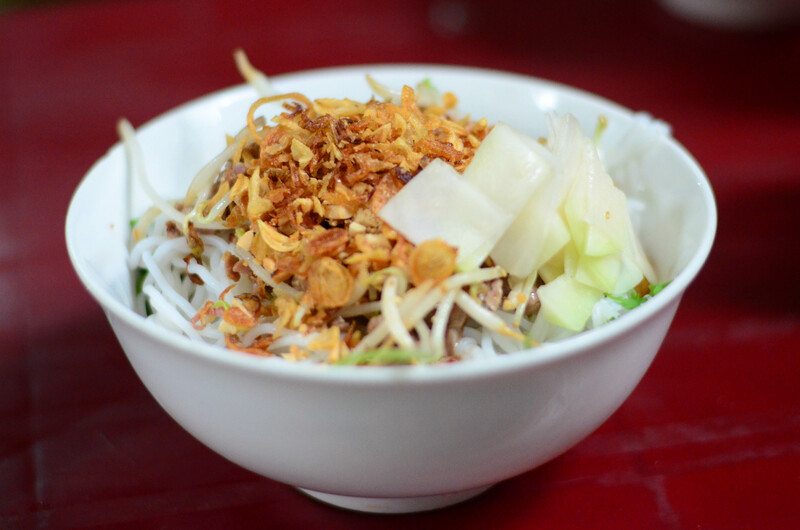 Kiera and I had our first full-scale street food experience in Hanoi. As we sat on tiny plastic chairs, a woman cooked up and served bún bò soup, a specialty from southern Vietnam. It was delicious! 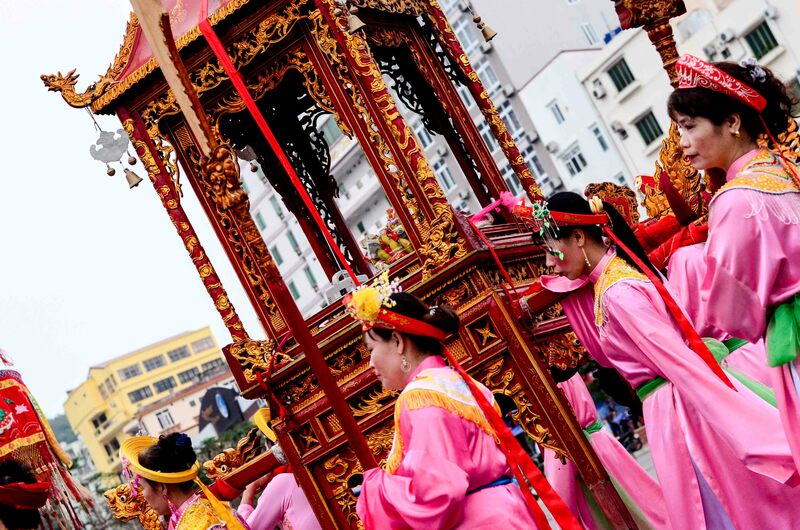 Ho Chi Minh visited Cat Ba Island in Halong Bay on April 1, 1959 and a celebration is now held each year. We just happened to be at the pier when a boat arrived with colorfully dressed participants carying various Buddhist offerings.